Nikkou (pronounced neek - ko) is derived from the Japanese translation meaning sunlight. Inspired by the lifestyle and fashion of the 70’s and 80’s where life was carefree, relaxed and slow, Nikkou store is created by strong creative women for like minded ladies. 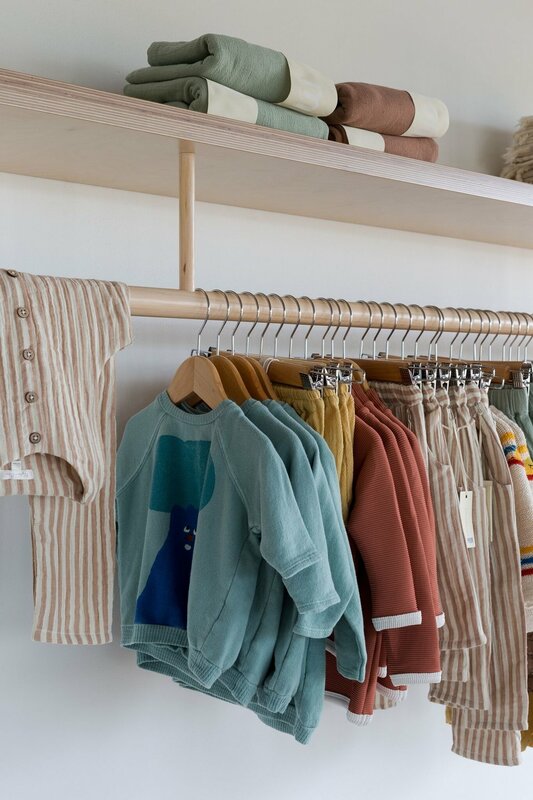 Located in the coastal town of Casuarina in New South Wales, just south of the Gold Coast, the store is filled to the brim with quality, good design and thoughtful fashion and objects for mother, child and home. They stock designers and creators that they believe have an independent and well-thought-out sense of beauty and design. Brands available include Spell and The Gypsy Collective, Sir the Label, Zulu and Zephyr, Bassike, Nice Martin, Maurie and Eve and Peony Swimwear. You will also find gift and homeware pieces from Ayu, Addition Studios, Auric Alchemy, Poppy and Co and Deiji Studios; jewels from Two Hills and Flash; accessories from Velvet Canyon, Dylan Kain and Barefoot Gypsy. And for your little ones, a wide range from the likes of Bobo Choses, Zulu and Zephyr Mini, Millk.Co, Rylee and Cru and Two Tykes. A trip to this gorgeous store is like taking a dip in the aqua waves of your favourite swimming spot - cool, beautiful and refreshing. But if you can't make it to their store, you can also shop via their equally gorgeous website.